Check here for the latest and greatest happenings going on at Evermore Bridal. Get ready to accessorize and save! During the month of April, enjoy 30% off your veil, headpiece and belt. Offer is good towards items with a minimum item value of $150. 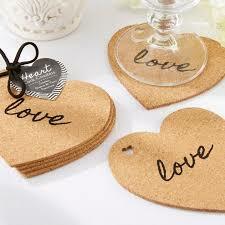 Plus, get a FREE set of 4 coasters at the completion of your bridal appointment. Mention this post on our Events page to receive this offer. Mark your calendars to visit us on Sunday, May 5th at the Brookfield Sheraton Spring Bridal Expo from 10:30am-4:00pm. It’s a great way to meet all your favorite wedding vendors in one spot and get some great deals! We will have a special offer for all brides who stop by to visit us. We’d love to hear about your big day and wedding dress vision. Save the date! Save with 50% Off Select Samples! Have a close wedding date or certain budget in mind? Don’t miss the chance to shop our selection of samples wedding dresses for purchase off-the-rack. Select dresses rotate into this assortment on a regular basis to provide many beautiful off-the-rack dress options. Schedule today!